Watch out, Samsung: Google (s GOOG) has some smartwatch development projects of its own, and it quietly snapped up Los Altos, Calif.-based WIMM Labs last year to kickstart these efforts. WIMM Labs not only gives Google the talent and technology to build a smartwatch, but actually an Android-based app platform tailored for consumers’ wrists. WIMM Labs was incubated around five years ago by Pillar Ventures, the investment company of former Rambus (S RMBS) President Dave Morring, who subsequently became WIMM’s CEO. 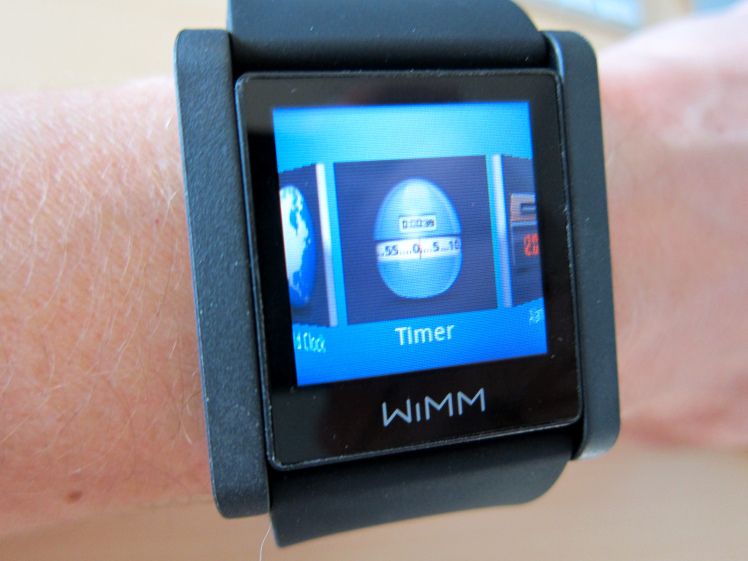 The company first developed an Android-based developer platform for wearable displays, and then followed up in late 2011 with its own, developer-centric smartwatch dubbed the WIMM One. At the time, some publications speculated that Apple (S APPL) may have snatched up WIMM Labs to bolster its iWatch efforts, but GigaOM has now learned that the buyer actually was Google. The acquisition was facilitated by Woodside Capital Partners, and a source told me that at least some of WIMM’s staff stayed on to join Google. Most of WIMM’s senior staff still list their original company on their Linkedin profile, but a few have updated it with a mention of their new employer. A Google spokesperson confirmed the acquisition Friday afternoon. At Google, WIMM’s employees are working with the Android team, which may seem natural since WIMM’s platform was based on Android, but it is actually a pretty good indicator of the role this acquisition is playing for Google. The company chose not to turn its smartwatch efforts into a Google X moonshot project that may take years to see the light of day, but instead brought it to the division that is making the world’s most popular smartphone operating system. In other words: In the nascent world of smartwatches, Google means business. Some apps on the WIMM app store. As my colleague Kevin Tofel recently pointed out, the key for anyone to succeed in the smartwatch space may be the ability to provide these kind of enhanced features: In other words, don’t just cram smart phone functions onto a smaller screen, but actually provide value at a glance, or at a flick of your wrist. Kevin was right when he said that Google Now could be a killer app for this kind of scenario — but giving third-party developers support and access to the platform may be just as necessary. So when will we see a smartwatch coming from Google? To be honest, I don’t know, but my sense is that it might be sooner rather than later. The Wall Street Journal recently reported that the company is working on its own smartwatch product. Google also inherited another smartwatch effort when it bought Motorola, even though the Chinese wall between the two companies may mean that Google won’t launch its first watch project out of Motorola. And let’s not forget that Andy Rubin, the mastermind behind Android’s success story, started to work on a new and still-unannounced project in March. Next week, Samsung is set to announce its own Gear smartwatch, which reportedly will come with a 2.5 inch OLED display and 10 hours of battery life. Samsung’s launch will get a lot of attention from the tech press and consumers alike, as it could be first major rollout of a smartwatch that’s ready for the mass market (stay tuned for our own coverage — Kevin will report live from the New York launch event). Samsung’s Gear is expected to one day compete with Apple’s(s aapl) much-rumored iWatch. Throw in a Google-made competitor, and you can be sure that we are going to see a whole new marketing war that will make Samsung’s smartphone ads against Apple look like child’s play. Good thing that Google already has the right web address to put its stakes in the ground: Through the Wimm acquisition, it apparently also got hold of Smartwatch.com. Updated at 1:40pm with additional details on the acquisition. Updated again at 2:40pm with an official confirmation from Google. I have a WIMM watch. Never used it as it is basically just a dumb terminal status update screen for a smartwatch. Let’s hope Google makes a proper wristphone. Please don’t forget Sony. They had their LiveView in 2011 and Sony SmartWatch in early 2012. Very smart move on Google’s part.